Ever read those books that don’t offer any Prologue? Rather they just toss you into the book and explain as they go? Well, this is one of those stories, and, personally, I enjoy them more often than not. I enjoy learning through characters’ memories and conversations. All Genna and Dan know is a world of covenant and promise between humans and nightlings. Never to speak, never to meet, never to break covenant and promise. However, now their village cheiften has offered their lives and the lives of everyone in the village as forefeit to the nightlings in return for immortality. Now Genna and Dan must make an alternate deal, with even higher stakes, with the nightlings in order to preserve their lives, those of their family, and everyone in their village. Holly Lisle’s writing is lovely, her descriptions rich and lovely. AND the text is even printed in indigo! 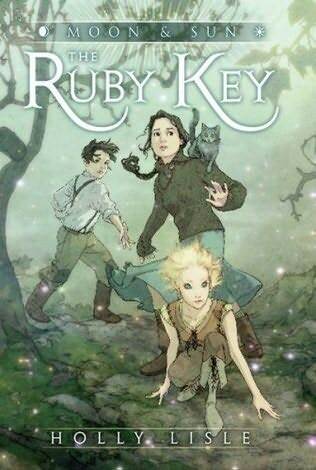 If you like fantasy and magic, this is definitely a book you may want to pick up. 🙂 So far, I’m really enjoying it. Eddie McCandry actually had a fairly normal, if not partially sucky life, as the head a rock band in Minneapolis. One night, on her way home, she finds herself being followed by a strange man and even stranger (and scary) dog. She soon finds out that they are one and the same. It’s a phouka, a fun-loving, prankster fey creature with the ability to turn into an animal. And he has a message and mission. 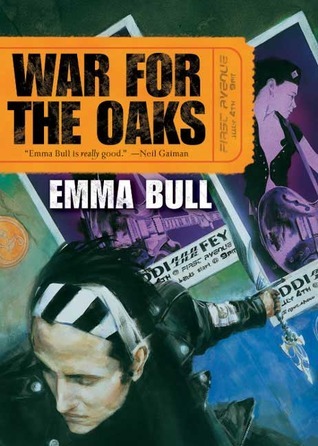 Message first: Eddie has been chosen by the faeries to be their ‘mortal element’ in the upcoming war between the Seelie and Unseelie Courts of the Fae. Without a human on the battlefield, blood cannot be shed nor lives taken, and, in order to win a war, you need both. Poukah’s Mission: to protect Eddie from the creatures of the Unseelie Court who would like nothing better than to see her blood spilled. It actually took me two tries to read this novel, and that’s really because I just became distracted. However, when I decided to finally finish it, I truly loved it. The interaction between Eddie and the poukah and the faeries that she becomes embroiled with is just wonderful! All the old adages about faeries are true in this story; brownies will clean your house if you ask nicely, fae hate to be thanked (it physically hurts them), and they enjoy walking amongst humankind and playing at love. One thing that tended to bug me is that the poukah is never given a name. He’s just called “Poukah” throughout the entire novel. However, his charming nature and fierce defense of Eddie make up for it. There is also a theory for that. Names are very powerful in the fae world as well as the human one. For someone to know your True Name gives them a measure of power over you in this story so that may be why our poukah never gives his, if he has one. There is music, adventure, romance, and all that jazz in War for the Oaks. This book was also on the reading list for White Wolf Games as they prepared to release their Changeling: The Lost role-playing game in Fall of 2007, a game that focuses on the old nature of fairy tales. The stories that the Grimm Brothers pulled together, those dark, blood-and-thunder cautionary tales of old that we have sanitized and prettified over the last century. If you ever wondered about what would happen if the faery and human worlds crashed together, this novel is definitely one for you.